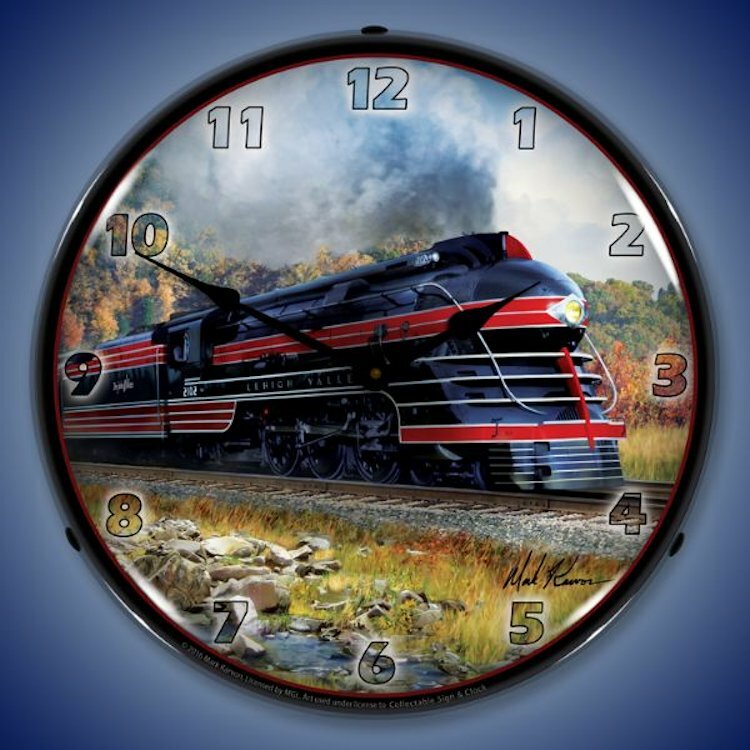 The world of rail lovers is a big one. 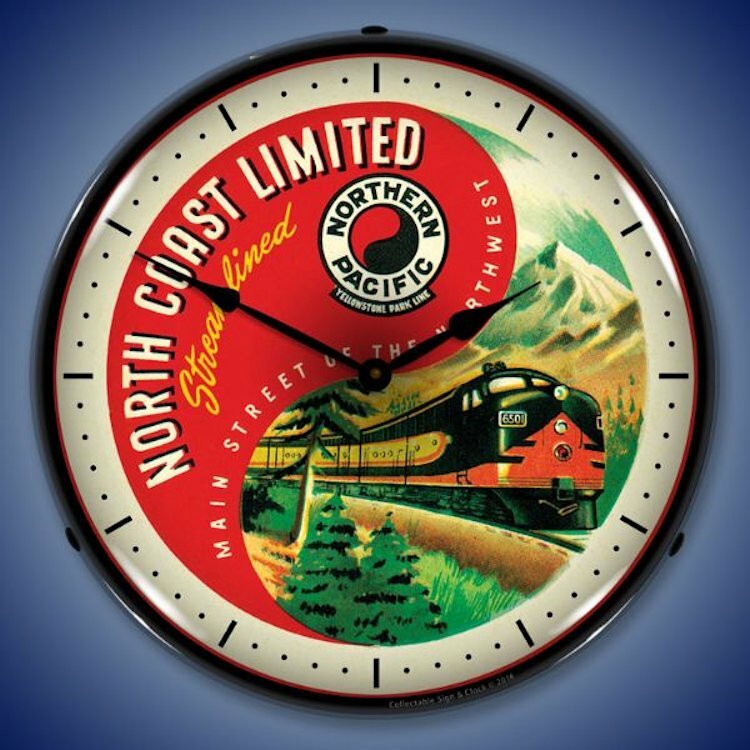 These collectors amass everything from conductor hats to old tickets to astonishingly detailed train sets. 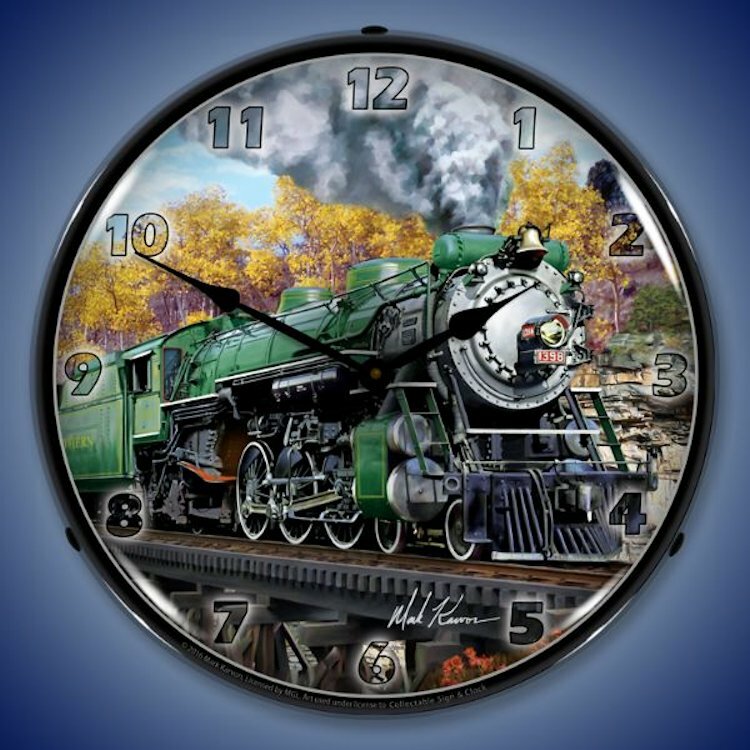 Imagine what they�ll think of these brilliant time pieces that celebrate all things train and rails. 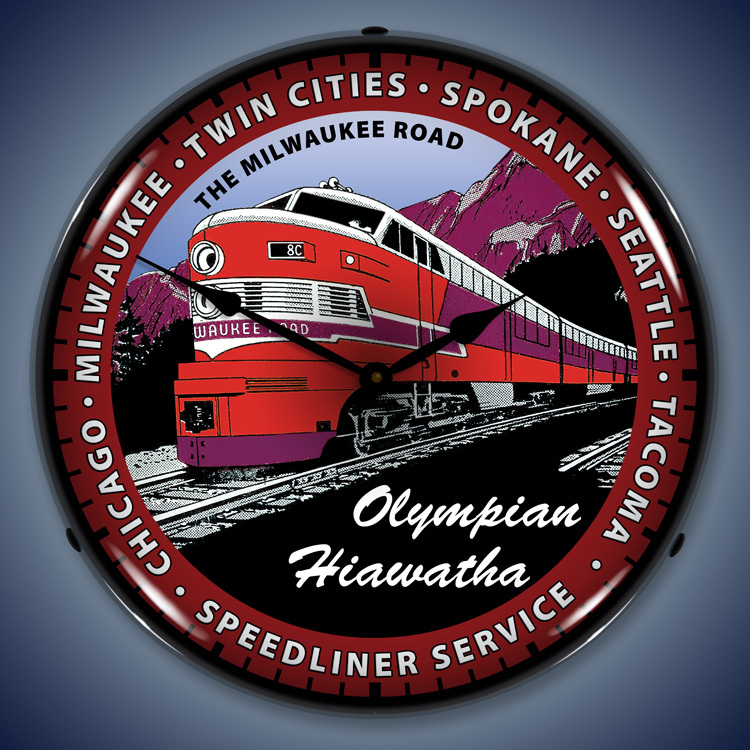 From classic logos like the Union Pacific to crisp images of the Olympian Hiawatha and the eternal bright yellow of a railroad crossing sign, these clocks will delight everyone that�s ever pretended or dreamed of working on the railroad. 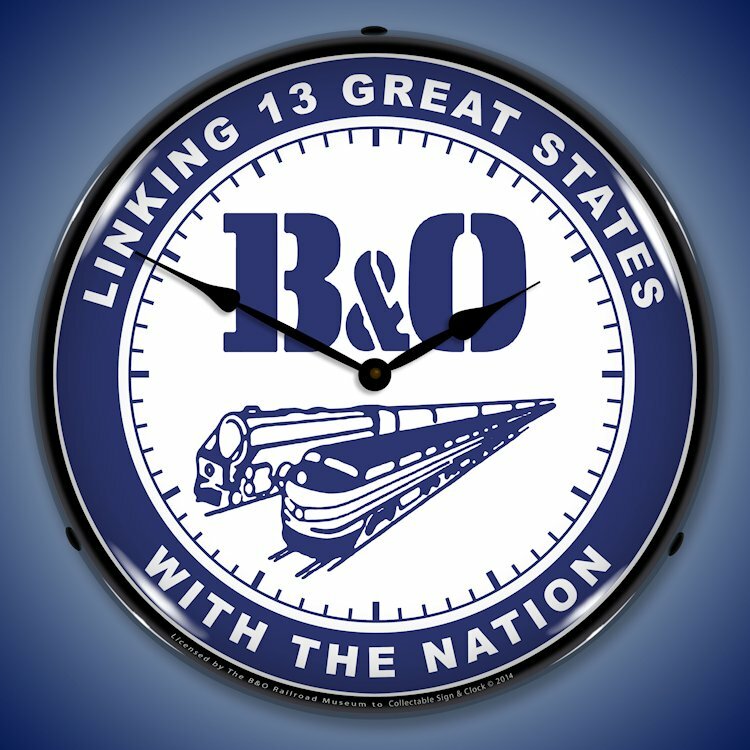 So if you know someone that treasures their train set, surprise them with one of these lighted railroad wall clocks. 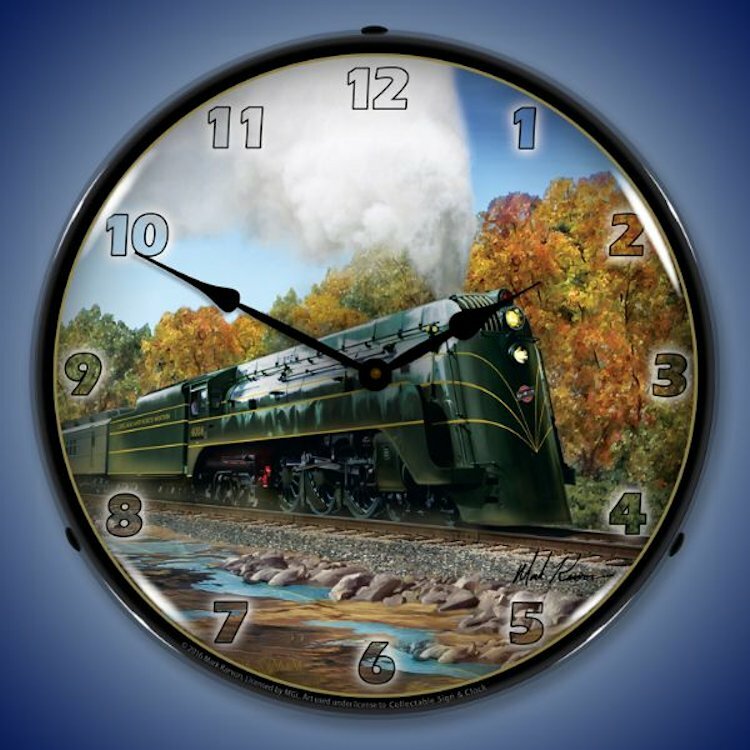 The subtle glow will make a great addition to the environment. 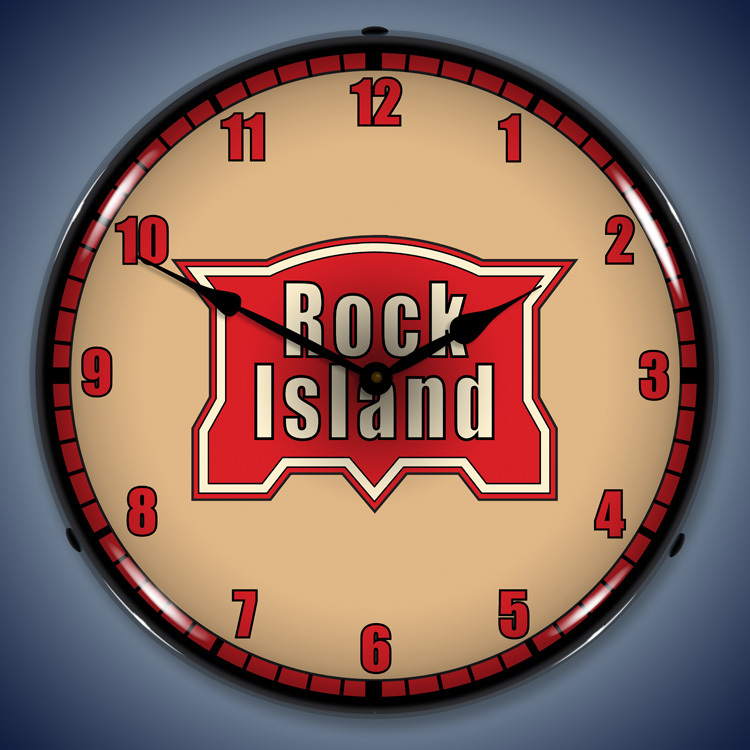 In fact, it will look good on any wall that needs a touch of color. 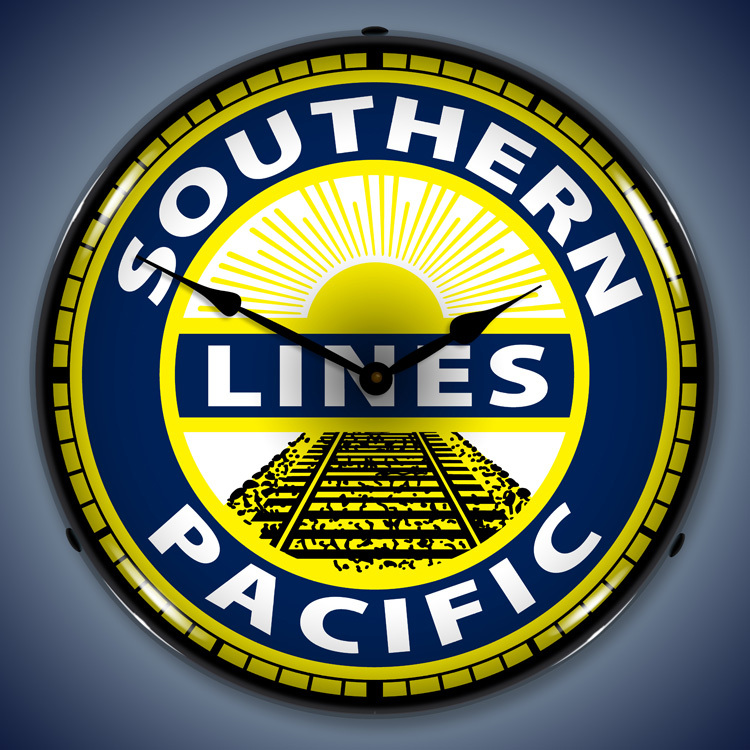 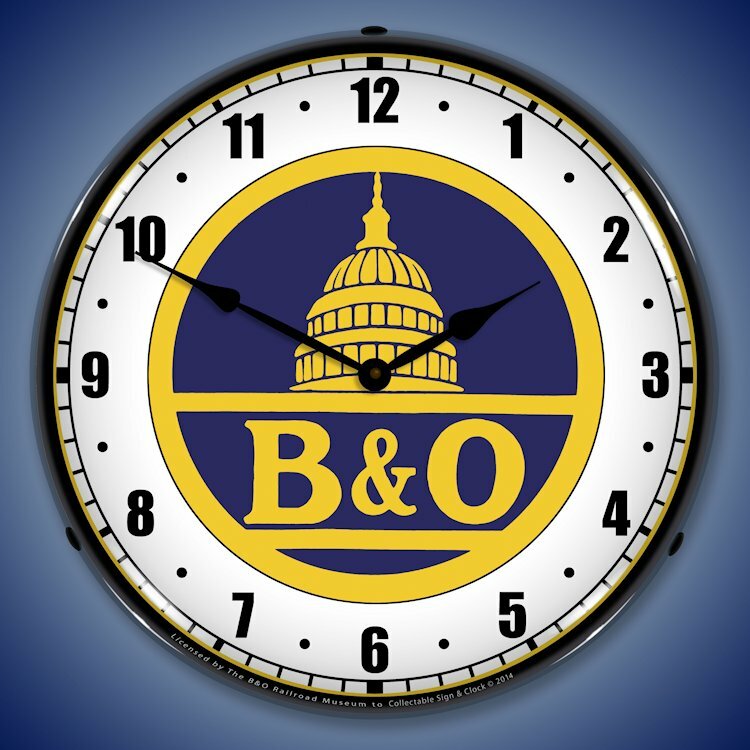 With a 14 inch face, the lighted railroad wall clocks feature an outer lens made from Lexan, a high quality, scratch resistant surface that promises to never yellow. 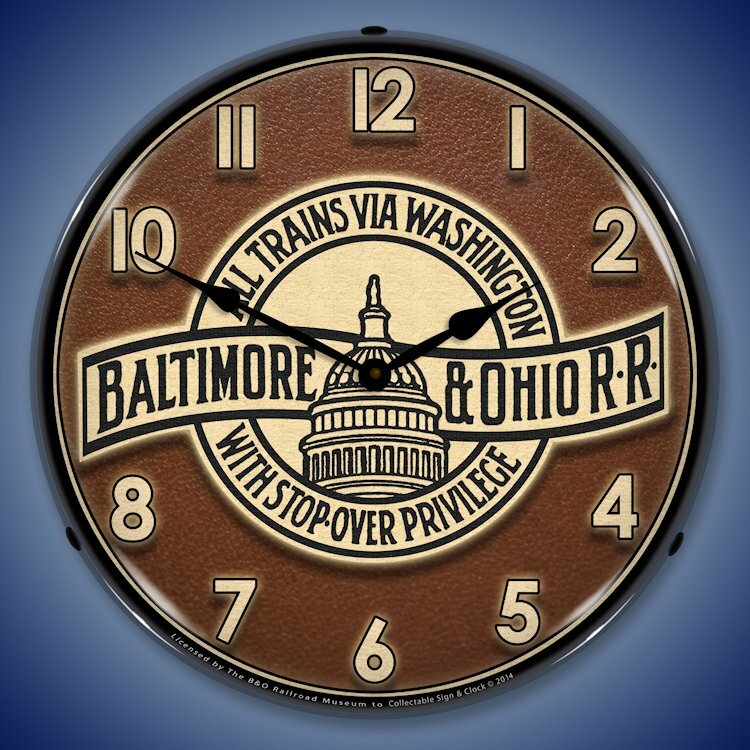 The shell is sturdy ABS plastic. 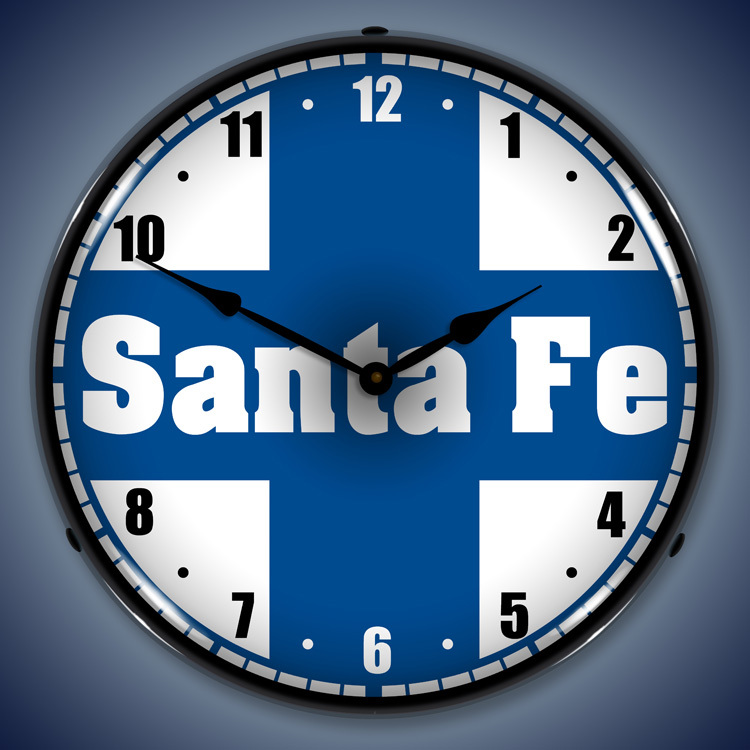 For that soft, attractive glow, there�s a 22 watt circline fluorescent bulb that will hold up for at least 100,000 hours. 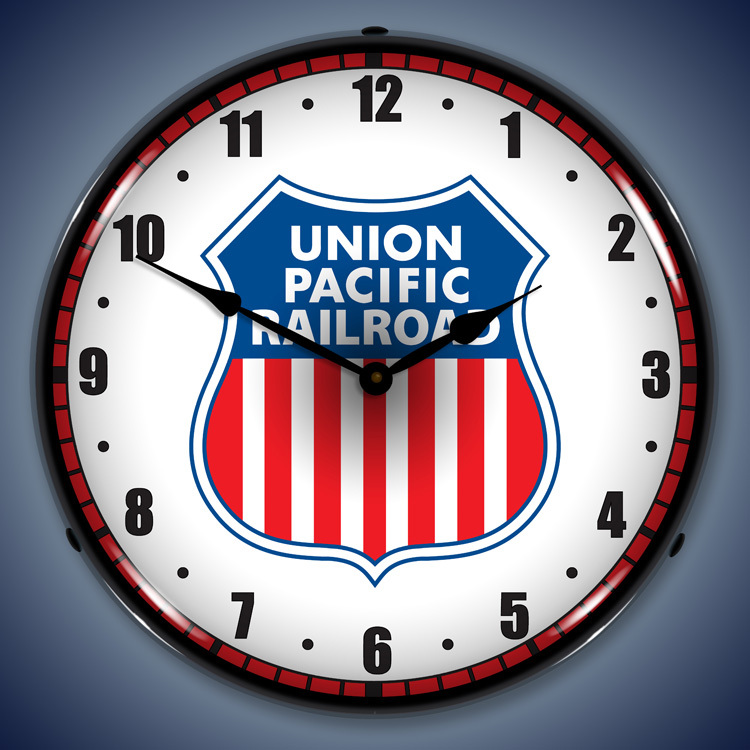 That�s over 10 years of illumination! 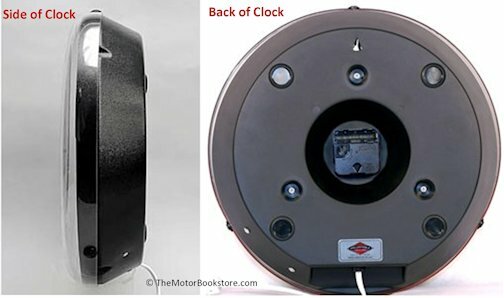 The lighting is optional, controlled by an on/off switch found on the standard 110 outlet cord. 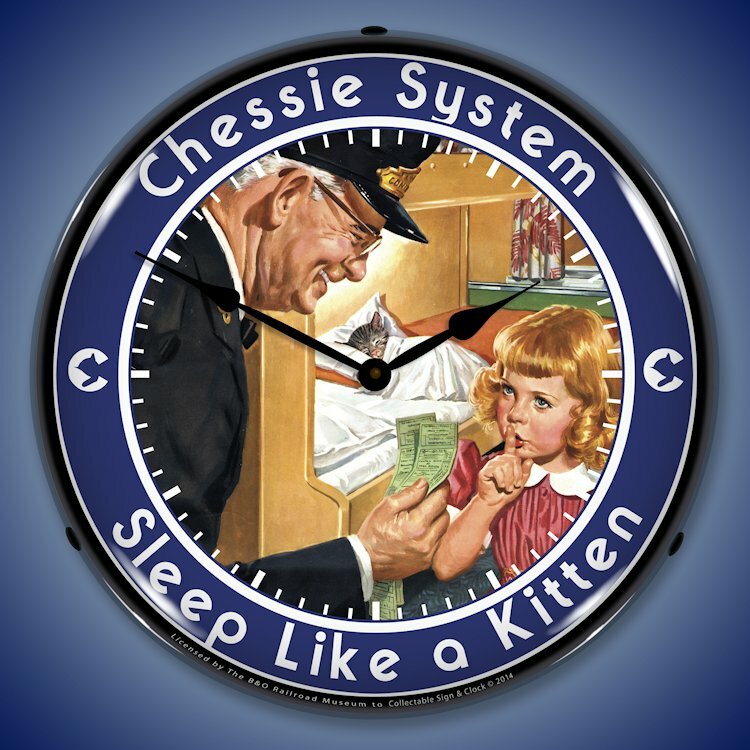 Each clock runs on a single AA battery. 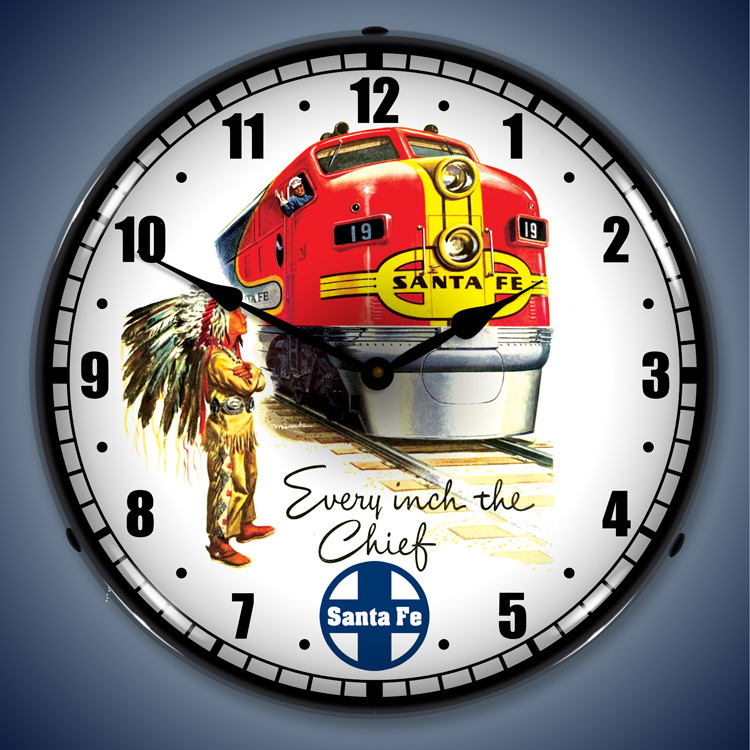 Every time piece comes with a one year manufacturer�s warranty. 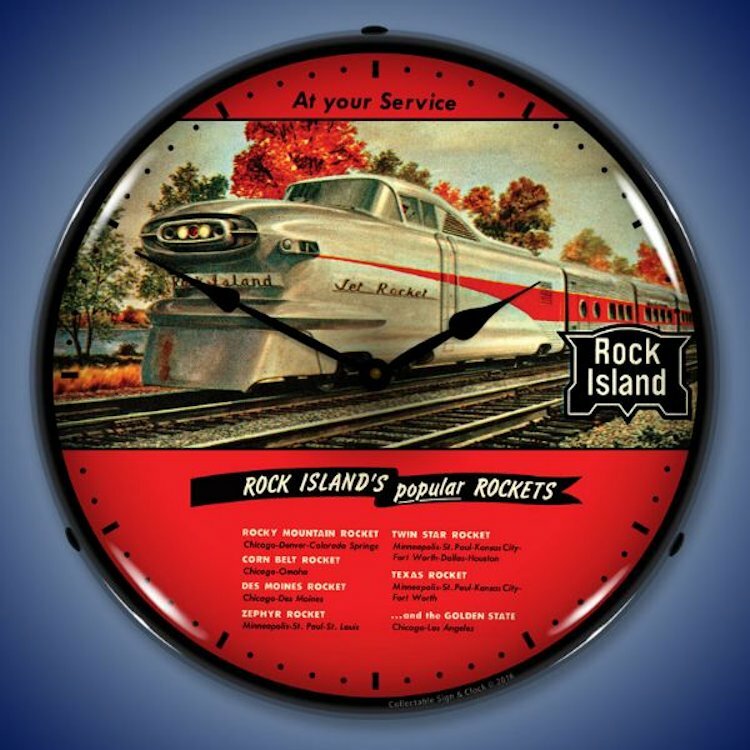 The team of experienced techs behind these time pieces were looking to evoke a vintage feel, a throwback to the 1950s, before digital became the standard for everything, even our clocks. 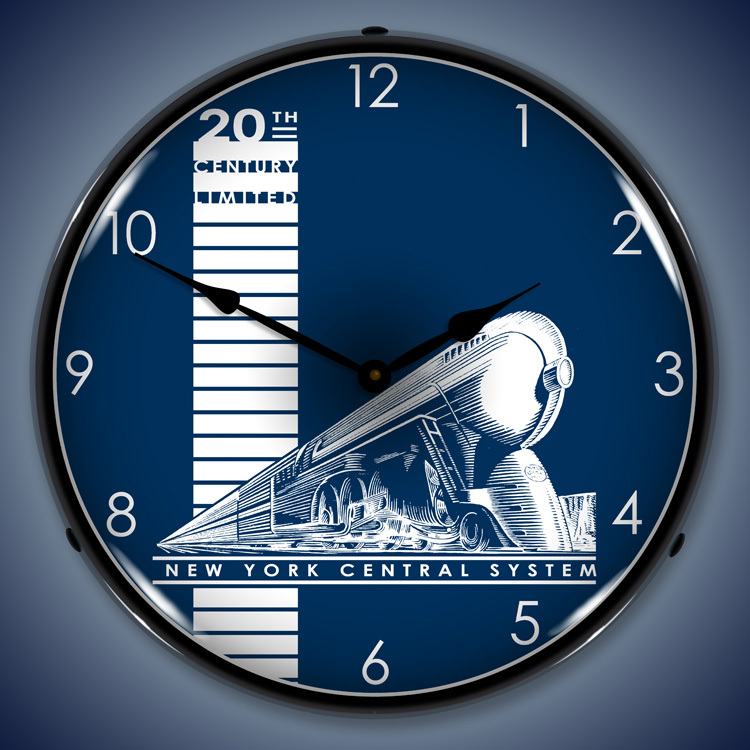 Yet, with each design, they went forward using only the most advanced and innovative 21st century tools and resources to make sure the engineering was above reproach. 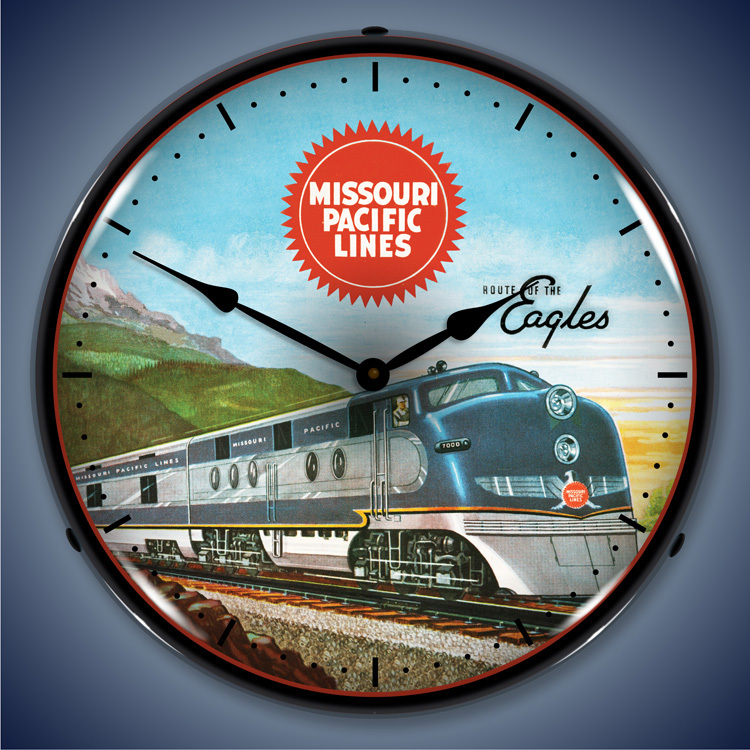 That makes these lighted railroad wall clocks with a decades old aura operate with quartz movement efficiency. 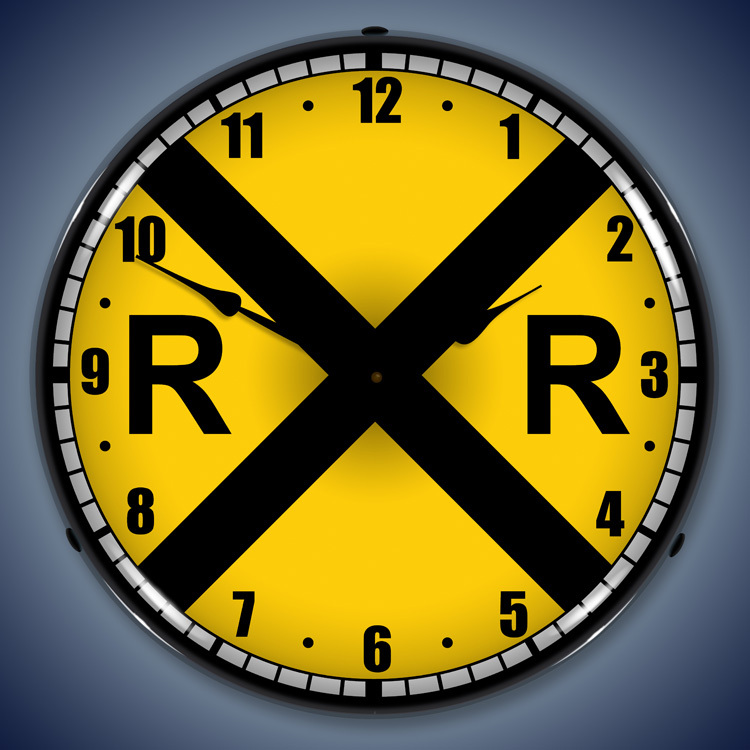 Just like the classic rails they celebrate. 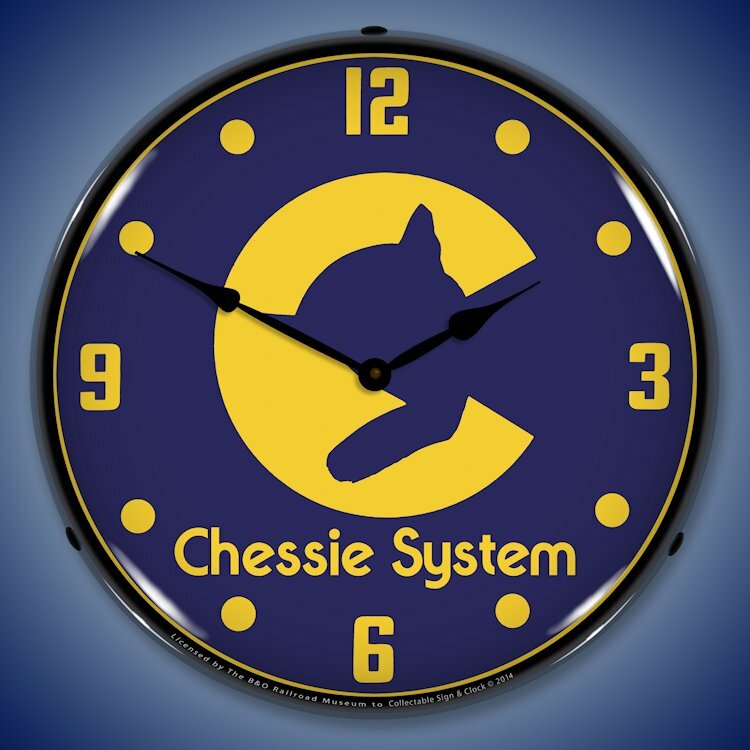 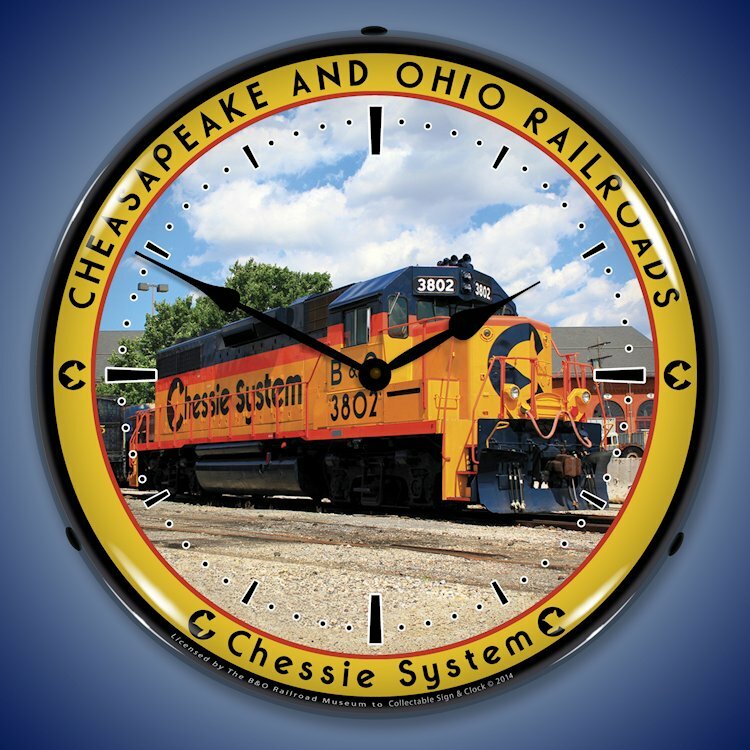 Check out the Chessie 3802 Train clock - awesome! 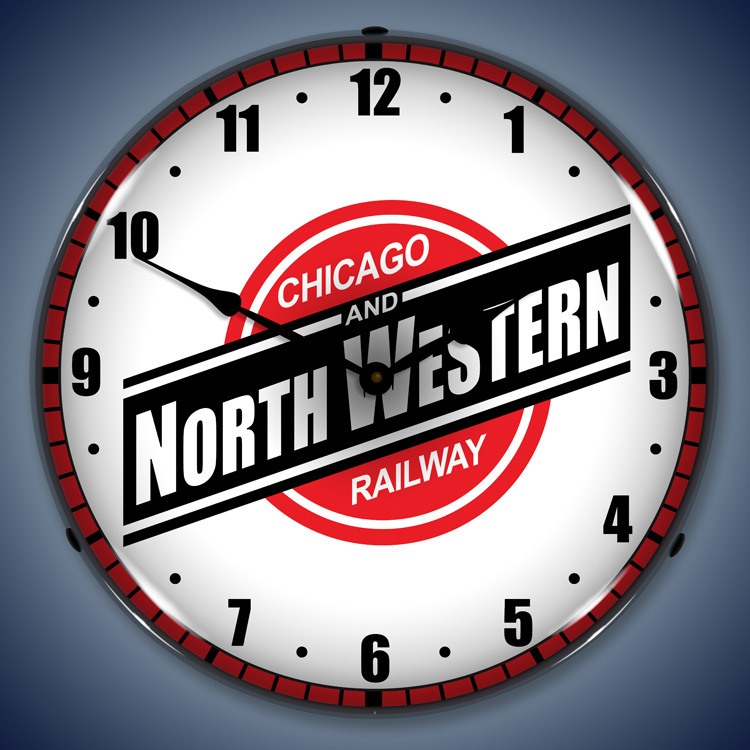 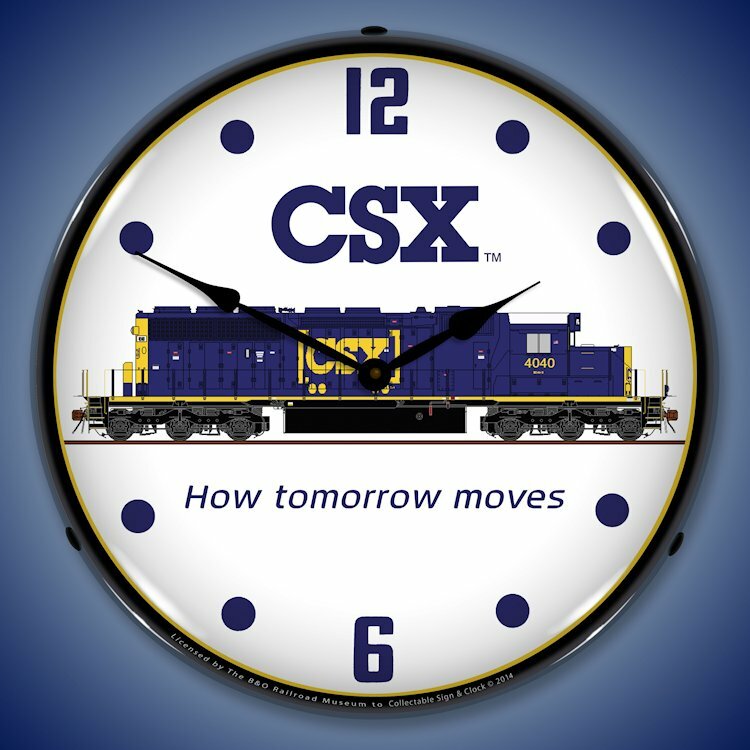 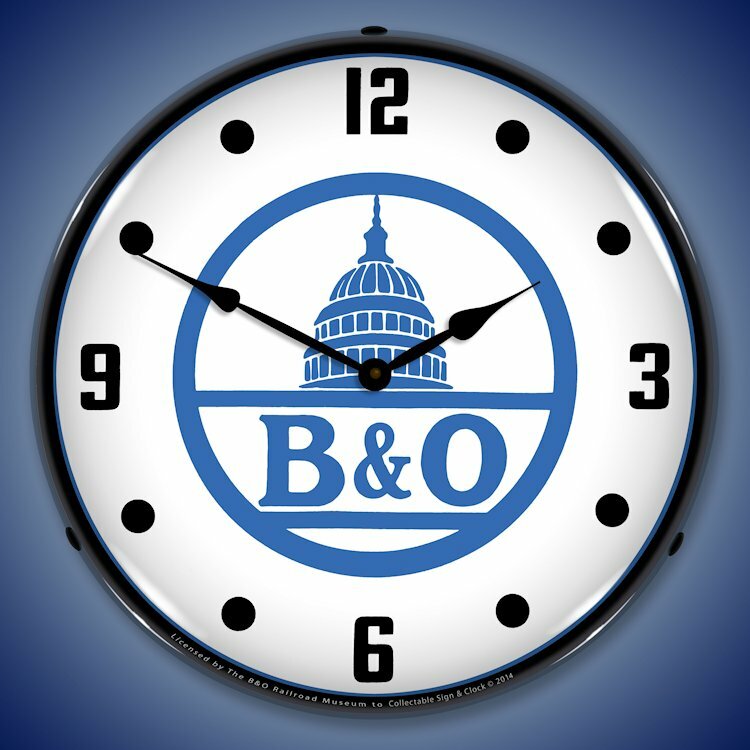 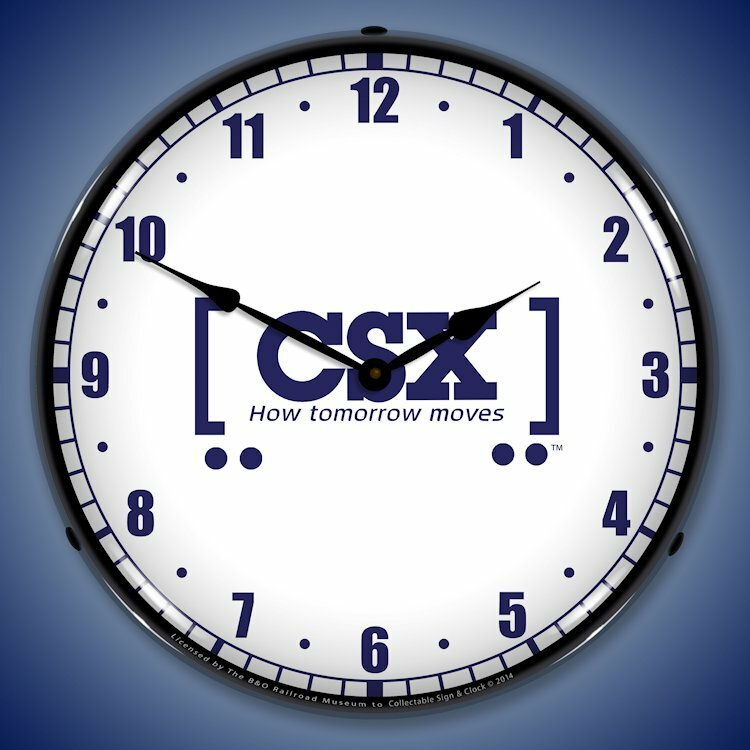 Subject: Best Prices on Railroad wall clocks including Chessie, CSX, B&O, 20th Century Limited, Chicago North Western, Missouri Pacific, Santa Fe, Union Pacific, Southern Pacific, Olympian Hiawatha and Rock Island clocks.